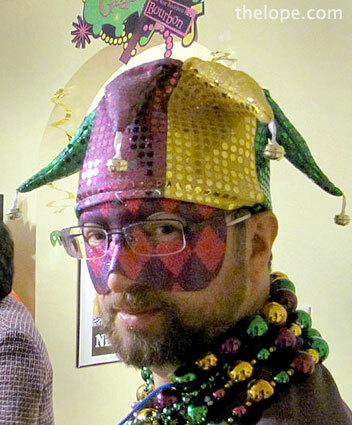 Happy Fat Tuesday! 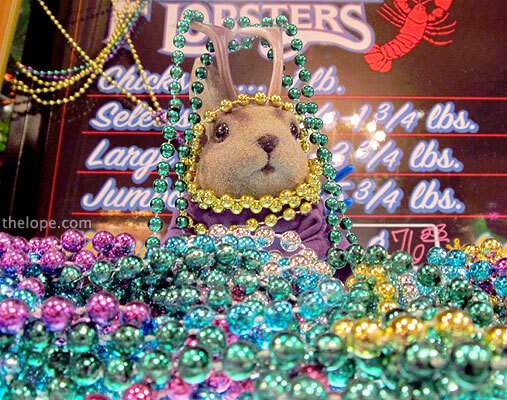 From a mountain of beads, Ace watched customers in a seafood restaurant last year on this day. 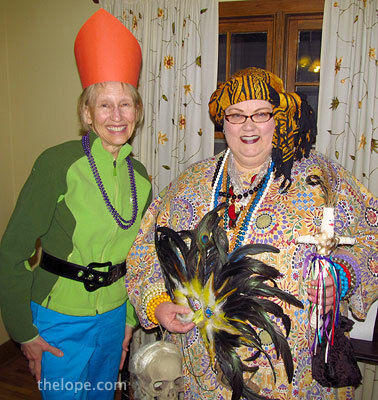 Three days previously, I attended a Mardi Gras party in Hutchinson, Kansas, hosted by Patti Arnold, left. 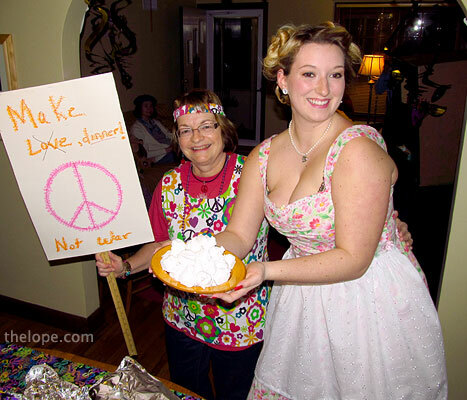 Her daughter, Katie Arnold, holds a tray of divinity made by Patsy Terrell. 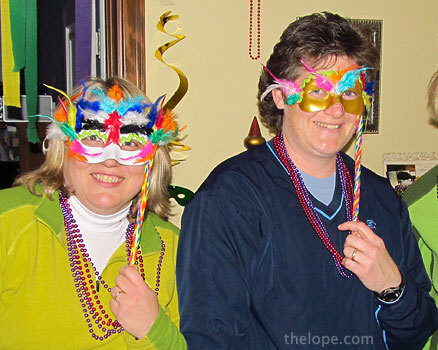 Jill Wager and April Calhoun went with simple but effective masks. Trish Rose was a gnome, though I mistook her for a pope. Patsy Terrell was a voodoo priestess, complete with a voodoo doll of which she was suspiciously proud. You really have to watch Patsy. Of course, I loaned her a fake skull from a big box in my house marked "skulls" so I guess I bear watching as well. 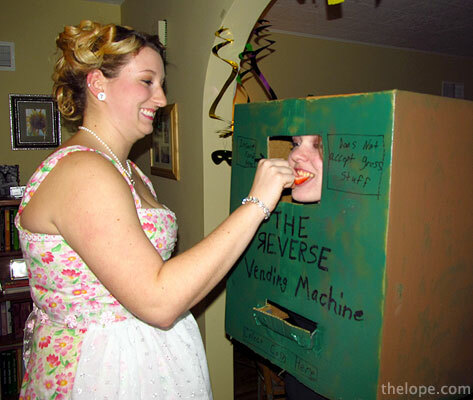 I must confess I do not quite understand Summer Gajewski's Reverse Vending Machine, but it "does not accept gross stuff." 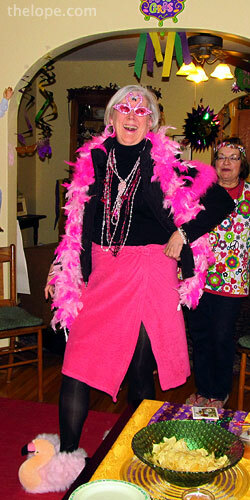 Nancy Self was resplendent in her flamingo shoes. Ace wore all the colors of Mardi Gras via a purple shirt and a gold saxophone on a green cord. 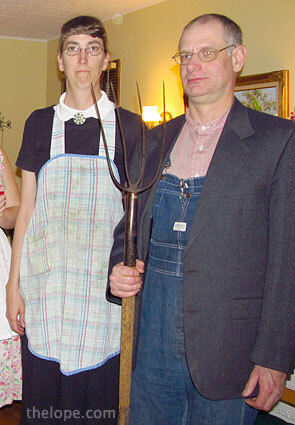 Amy and Jay Warner came as an American Gothic couple. Grant Wood would be proud. 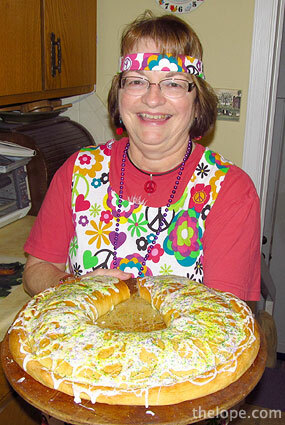 Patti presented a King Cake, a traditional treat of Mardi Gras. 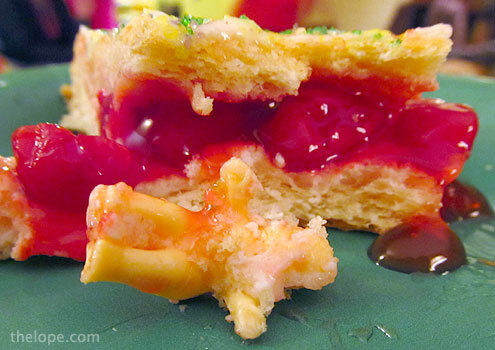 There's a lot of history behind king cakes. I recommend the wikipedia listing. I ended up with the slice that contained a trinket symbolic of the baby Jesus. In some interpretations, that means I was supposed to give the party this year. 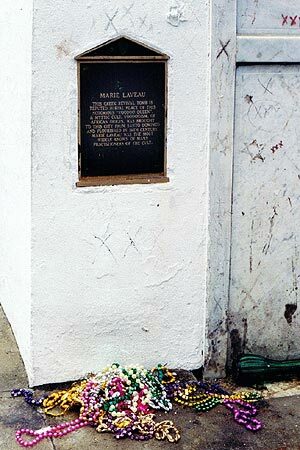 We looked at Marie Laveau, voodoo queen, in 2006. See Ace get flashed in 2007. 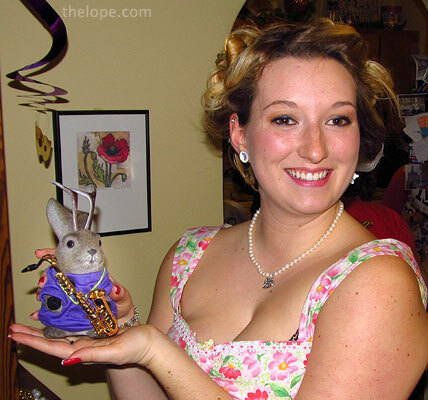 He also sported finery in 2008 and 2009.